As you all know, I was diagnosed with Atrial Fibrillation about four years ago, but with a change in diet, exercise and a will to live, I believe my heart has been healed. 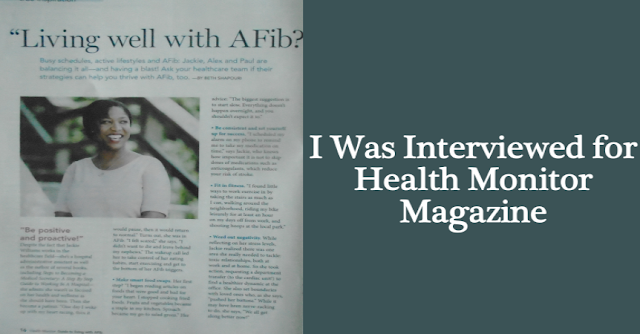 I was interviewed for Guide To Living with AFib from Health Monitor magazine. What's so great about this is that this magazine is available in doctor's offices all across the country! The interview took place in May of 2017. A photo shoot followed a few weeks later in June with Jack Bates of Jack Bates Photography. His photos are beautiful. I’m so proud of myself because this is the third publication that I’ve been interviewed for this year (one article was about working as a Health Unit Coordinator, and the other article was about heart health). I’m working very hard to get the word out that AFib is not a death sentence. It’s a wake-up call. Although a lot of damage has been done to our hearts, with a lifestyle change I believe the damage can be reversed. 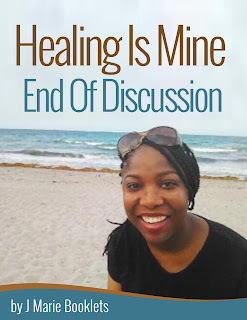 You can read about my journey in Healing Is Mine. End of Discussion. Order your copy today!